Moving and storage companies see it all when it comes to long distance moving. There are lots of reasons that downsizing your home may be the right call. Regardless of your circumstances, it’s a great idea to lean on the experience and advice of moving and storage companies like us. If you have accumulated years of possessions and household items throughout your lifetime it is understandable to feel a bit overwhelmed about the process. Fortunately, there are many steps you can take to simplify the downsizing process including but not limited to hiring a professional moving and storage company like us. Moving and storage companies deal with overwhelm from customers often because customers procrastinate about packing. Yet, before packing can begin, de-cluttering has to happen first. Trust us when we tell you that you will feel a strong sense of calm and accomplishment if you can knock out one room per day a few weeks before the move. Of course, tossing your old belongings aside is easier said than done. A good general rule to live by when purging your items is to consider the last time you used it. Anything older than 12 months since its last use should be discarded. If you have trouble letting go of items in good shape, read our next tip. Moving and storage companies will strongly recommend having a yard sale a few weekends prior to the move. It will help you part with items you don’t use much faster. When you know some of the items you care about are going to “a good home” it will be less heartbreaking to let go. In fact, moving and storage companies will confirm that clients who have a garage sale and donate items often feel less stressed about the entire process. A great tip is to coordinate with a larger yard sale event like those hosted by a group or community. 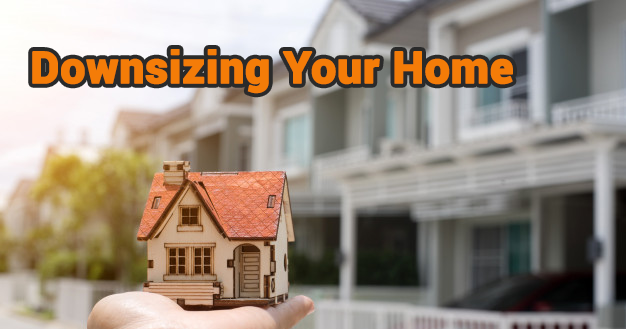 When you ask moving and storage companies what their customers forget most often during downsizing, it’s usually the smaller square footage of their living areas. Those large sectionals or king-sized beds may fit in your smaller space but will you have any room to walk around without feeling cramped and claustrophobic? You’ll add insult to injury when you consider how much it will cost you to move heavy furniture items, and then it doesn’t even fit in your space to boot. There has to be an easier solution, right? Try selling these items on Let Go or using a consignment shop to get a buyer and get some cash back in your pocket too. Plus, if you’re downsizing your space, then you deserve to upgrade to some smaller yet newer furniture pieces for your new place. Okay, this is where moving and storage companies really get to shine. At Move It Cube It, we not only conveniently transport your items but we store them as well. What makes us different from other moving and storage companies is that we have designed compact yet durable modular cubes that serve multiple purposes. All of these purposes are engineered to save you time, energy and frustration throughout the moving process. Our cubes provide flexibility because after we drop off the cube, you can take your time loading them, then call us to pick them up and deliver them to your destination. Plus, if your new home won’t be ready for a bit, we can store them for you in a climate-controlled facility. What’s more, you can even load the cubes strategically. Meaning, you can load most of your cubes with the items that are definitely moving to your down sized location. Then load another cube with items that you are keeping to pass down to other members of your family for instance. This cube can remain in storage until you need to access it. This way, all your items are safe and secure until you need to access them at a later date. Not many other moving and storage companies have that type of organization in their business models. Call us today to learn more about downsizing your home with a moving and storage company that offers it all. Convenience, flexibility, expertise and more.